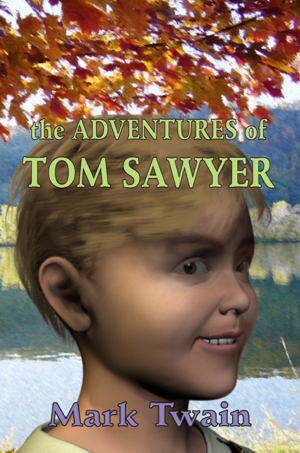 The Adventures of Tom Sawyer is Mark Twain’s classic story about a mischievous orphan who is cared for by his Aunt Polly. He lives in the carefree and wonderful world of boyhood on the banks of the Mississippi in the early-mid 1800s. Tom and his friends go after adventure time and again, but one night he witnesses a murder by a fearsome character in town. Tom testifies against the murderer after the wrong man was accused of the murder, but the murderer escapes. Eventually Tom and his sweetheart, Beckey, get trapped in a cave. To make things worse, they run into the murderer inside the cave, who uses it as a hideaway.